Prominent external exchange leader Interval International has just added Thermas Hot World in Aguas de Lindoia, Brazil to its extensive network of vacation ownership resort affiliates. This resort is located 75 miles north of Sao Paulo and features 36 chalets and a highly popular water park. Aguas de Lindoia is also part of a hot springs circuit known for its healing mineral waters. The property’s one-bedroom chalet accommodations overlook the recreation area that features heated swimming pools, a 528,000-gallon wave pool, lazy rivers, fountains, water slides, and a children’s pool. Thermas Hot World also features an on-site restaurant and horseback riding trails. Thermas Hot World provides an upscale and fun vacation experience that guests are able to enjoy year-round. Interval International commented that they are very excited to add this unique property to their portfolio. The resort has expansion plans in the works, with 300 one- and two-bedroom fractional units that will be located on the opposite side of the waterpark. These new accommodations will features full kitchens, large living rooms, and private balconies with stunning views. Thermas Hot World also plans to add two additional restaurants, a sports bar, and a game room. 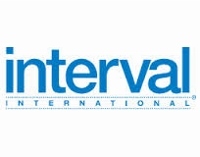 Learn more about Interval International and their thousands of affiliated resorts by visiting their website.